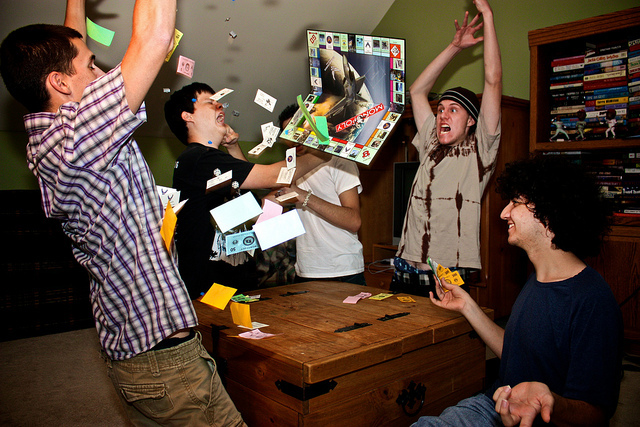 Science Says Board Games Are Good For Your Relationship? One of the hallmarks of a healthy relationship is enjoying the same activities. If you’re spending time together doing something you both find engaging, then you’re golden. But, as it turns out, there are some activities that offer greater benefits than others. According to a recent study published by Baylor University, couples who play board games together are actually strengthening their relationships chemically. For the study, Melton and Maria Boccia, Ph.D., professor of child and family studies, recruited 20 couples ranging in age from 25 to 40. Couples were randomly assigned to participate in one of two couple dates — game night or couple art class — for one hour. One group played board games in a familiar home-like setting. Couples were alone. These couples chose familiar games that would not require them to read instructions. The study was designed to examine any increase in levels of oxytocin in the couples’ hormone levels. 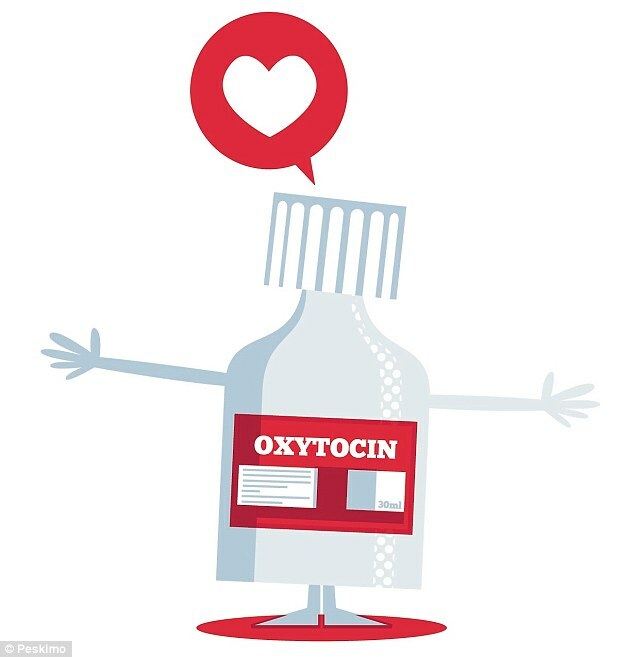 Oxytocin, often referred to as the hugging hormone, plays a role in building social connections. Curiously, while there wasn’t a significant difference between the latter three categories, men in the art class released 2 to 2.5 times more oxytocin than the other groups. 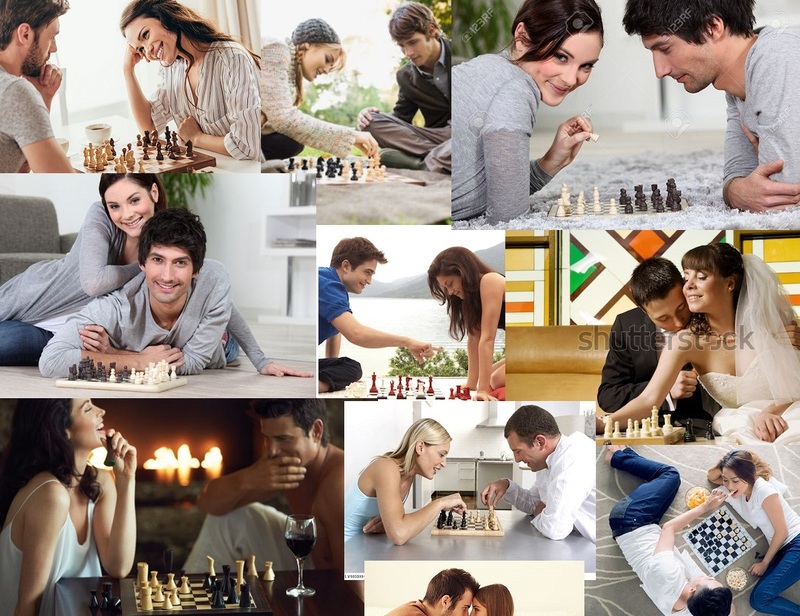 There were measurable increases in the oxytocin levels for both men and women playing board games, lending credence to the idea that playing together is good for your relationship. Some of the games used in the study: cards, checkers, chess, dominoes, and Monopoly. Given some of my unpleasant experiences playing Monopoly, I’m surprised that one didn’t throw off the curve somewhat. It does make me wonder, though, if some games would provoke greater oxytocin releases than others. Would cooperative games like Pandemic, Forbidden Island, or Castle Panic! lead to increases, or is the type of game irrelevant? Are more stressful games, like those with timers or ones where quick reaction time is integral to winning, less likely to build those chemical connections? 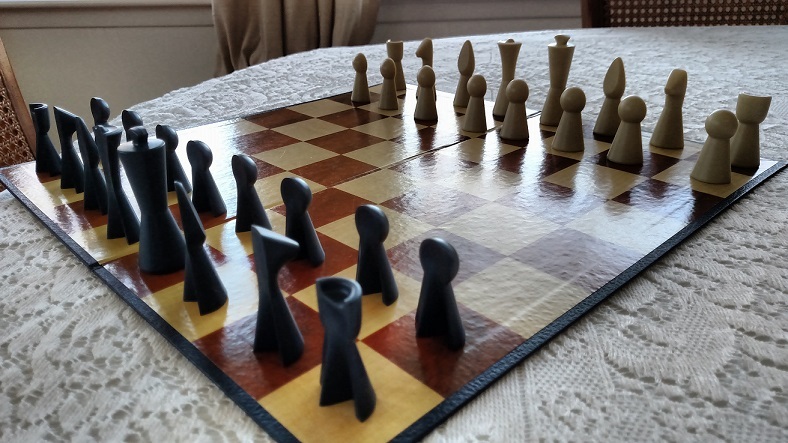 Chess, checkers, backgammon, Go, Othello… all of the classic board games rely upon the idea that both players know how the pieces can and will move from round to round. That way, they can strategize, they can prepare defenses, they can circumnavigate your attempts to flummox them. 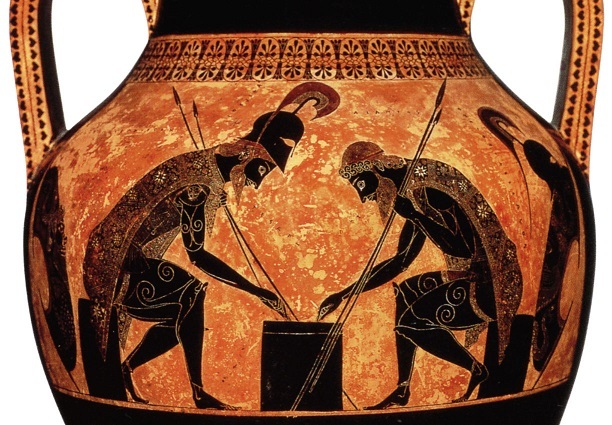 To outmaneuver someone, you have to know how they can maneuver. But what if your opponent could potentially move in five different ways? How would that alter your strategy? How would that alter your gameplay? 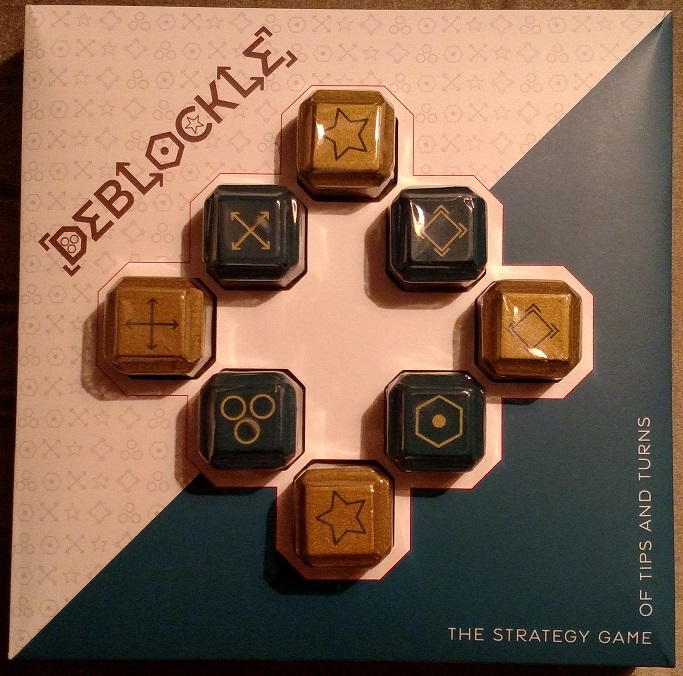 Beware, fellow puzzlers… one-on-one board gaming just got a little more complicated with Deblockle. 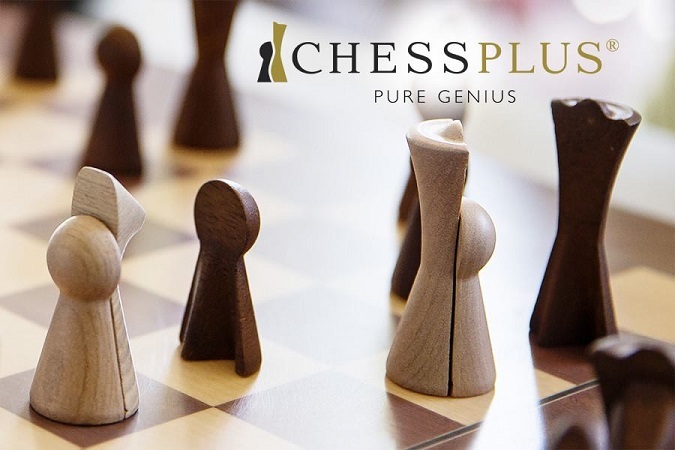 Masterminded by the team at Project Genius, Deblockle pits two players head to head to see who can remove their four blocks from the board first. That’s right, there aren’t sixteen pieces to keep track of, like in chess, or twelve, like in checkers. There are just four blocks for you, and four blocks for your opponent. But here’s where things get tricky. 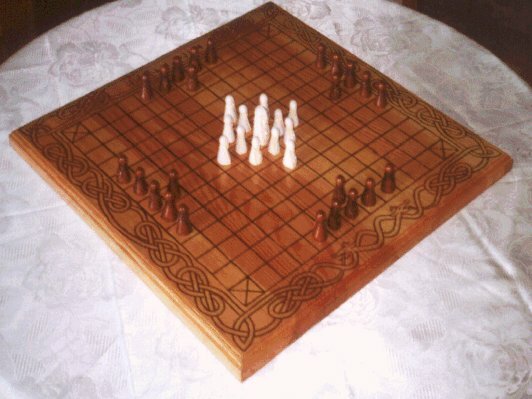 Each turn, you have two moves. The first move is to roll one of your blocks into an adjacent space (either vertically or horizontally). 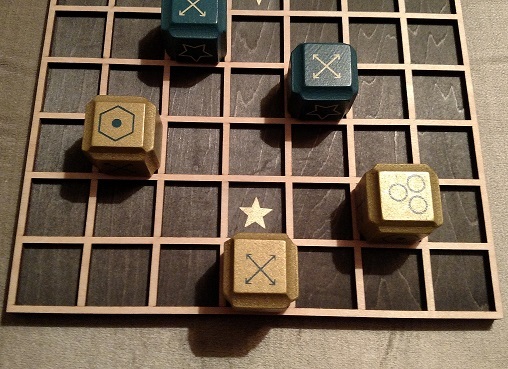 The second move is to place your block according to whichever symbol that landed face-up because of that roll. 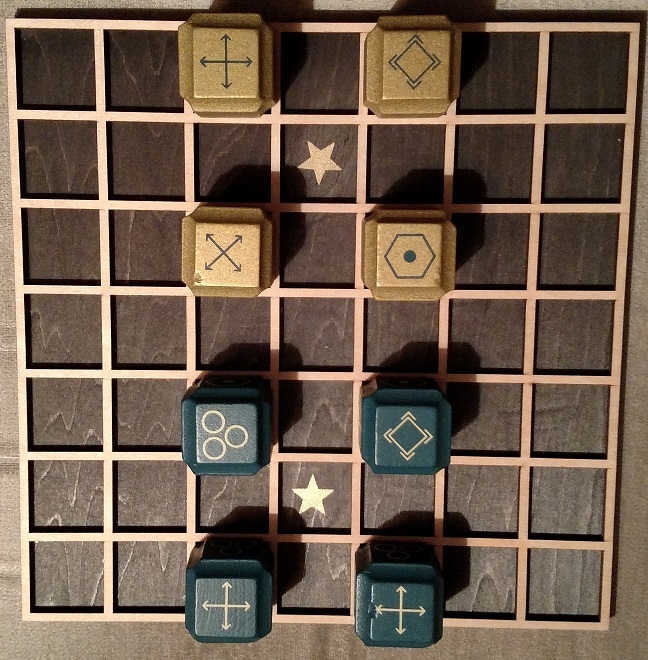 With each of those second moves, you’re not rolling the block to reveal a new symbol; you’re picking it up and placing it into its new position. And yes, there are six symbols, and I only listed five above. That’s because the sixth symbol, the star, can only be revealed if you’re rolling onto one of the star spaces on the board. 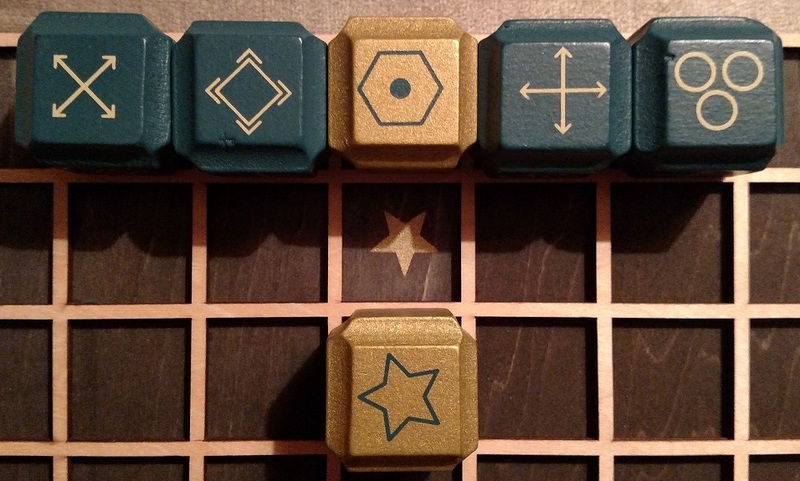 By rolling the block star-side-up onto a star space, you remove the block from play. That’s the only time you can roll your block star-side-up, and the only time you’re allowed to occupy a star space with your block. 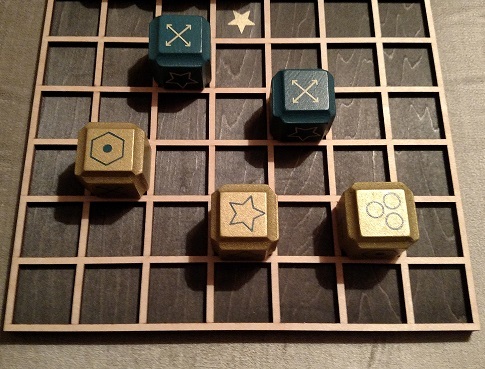 There are only two star spaces on the board, and you can only remove your blocks from the game if you utilize the star space opposite you. And that’s when things get really tricky. Because it’s entirely likely that your opponent’s blocks will prevent you from rolling onto the symbol you wanted. 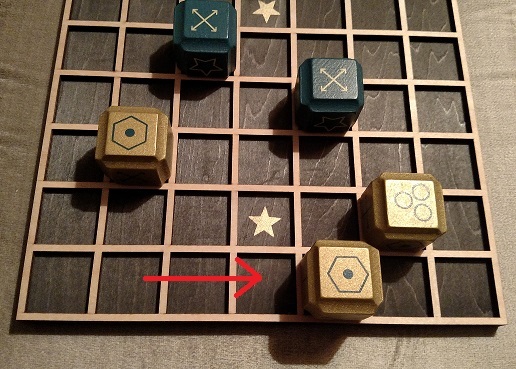 So you’re puzzling out how exactly to roll and move your blocks so you’ll end up adjacent to the star space with the star symbol waiting to be rolled face-up, and also playing defense to impede your opponent’s efforts to navigate and manipulate the board to their own advantage. It’s a lot to keep track of, and it makes for an immensely engrossing, engaging puzzle duel for two players. You’ve got the resource management of Risk, the piece placement mechanics of chess, and the defensive gameplay of Stratego and other strategy games. 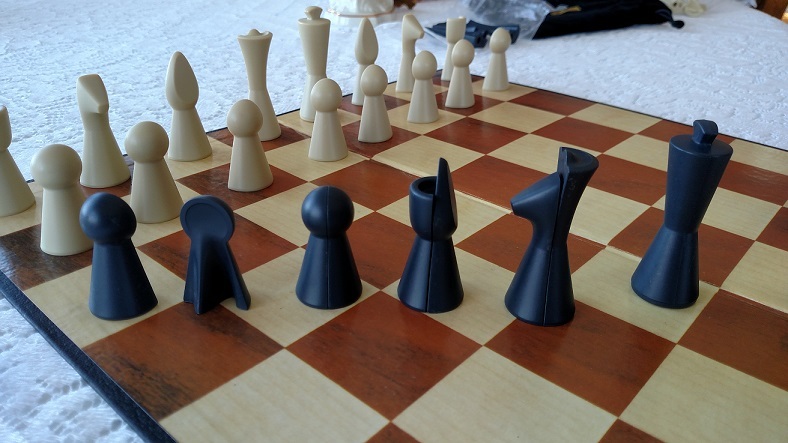 And since the blocks are placed in their starting positions by your opponent — after rolling them randomly to see which symbol is face-up to start — every game of Deblockle is different. 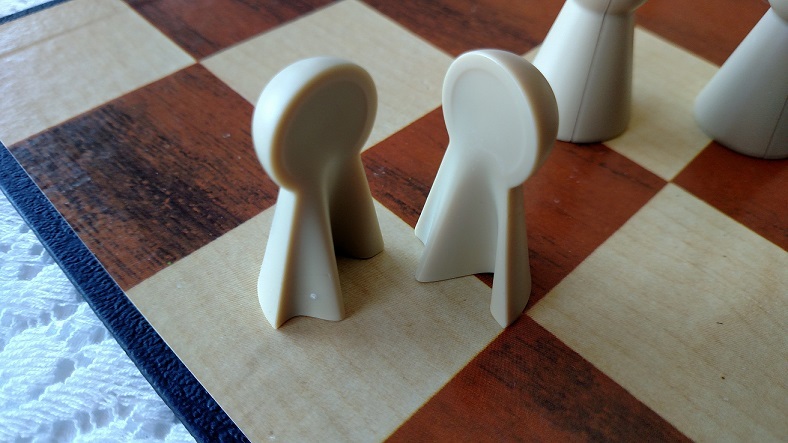 Opening gambits — like those you can learn in chess — are useless, because you won’t know how you can move your blocks initially until your opponent places them. 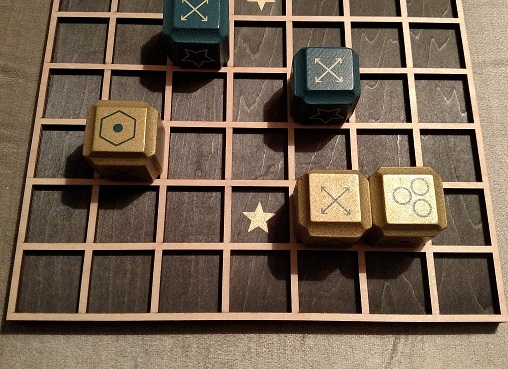 There is a wonderfully fresh challenge factor to Deblockle that many other head-to-head board games lack. While playing the game over and over will allow you to develop techniques and skills for how to better move your blocks, there are no shortcuts to becoming a better player through sheer repetition, because each opening setup is different. Project Genius has managed to stuff a massive amount of gameplay, strategy, and style into those four little blocks, and they’ve got a real winner on their hands here.